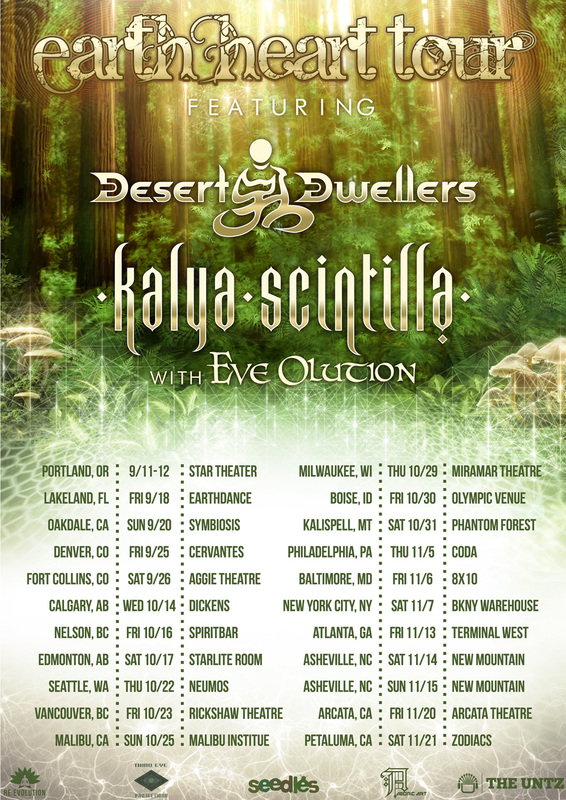 Nearly a month into Desert Dwellers and Kalya Scintilla & Eve Olution's Earth Heart tour, the Eco-Conscious artists have already performed at festivals from coast-to-coast like Symbiosis and Earthdance (miraculously, in the same weekend), and sold out major venues like Cervantes Masterpiece Ballroom in Denver. But the tour is just warming up. Today, the Earth Heart tour reveals its TBA Halloween celebration is TBA no longer. On October 31, the tour will hop from Boise, ID up to Kalispell, MT for The Phantom Forest, a one-day, mini-festival with some of the best crews in Montana's bubbling underground dance music scene. Kalispell is just a couple hours north of Missoula, and mere minutes away from Glacial National Park, which provides a stunning background for this earth-centric tour. To close out Earth Heart tour for the year, Desert Dwellers, Kalya Scintilla & Eve Olution chose Zodiacs in Petaluma, CA as a final date. Located just an hour north of the Bay Area, its idyllic surrounds will satisfy the earth enthusiasts who come to celebrate on November 21. 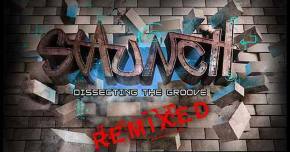 Tickets are now available on The Untz's ticketing page. Earth Heart brings together two of the most exciting artists in the psychedelic bass and downtempo dub realms. Desert Dwellers have long been a Burning Man staple, and huge influences on the yoga world. 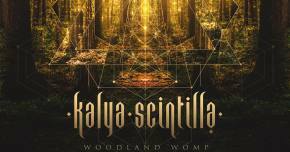 Kalya Scintilla brings his Australian roots to the stage with stunning tribal trance that is weaved into story by Eve Olution. With two-night stands in Portland and Asheville bookending the run, special uptempo performances have been paired with sacred bass nights to give fans in the same city different looks, sounds, and feels for these two incredible acts. 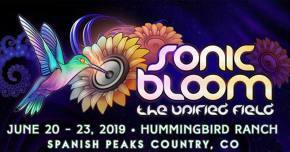 The biggest news for fans of The Untz is that both Desert Dwellers and Kalya Scintilla & Eve Olution will be headlining The Untz Festival at Mariposa County Fairgrounds in Mariposa, CA June 2-4, 2016. The aim of the tour has been to educate fans and share Eco-Solutions with earth advocates in each community. At each stop on the tour, wildflower seed bombs courtesy of Seedles will be passed out to the crowd. Each regionally specific bundle holds the key ingredients for bringing a blossoming bed to life come spring. 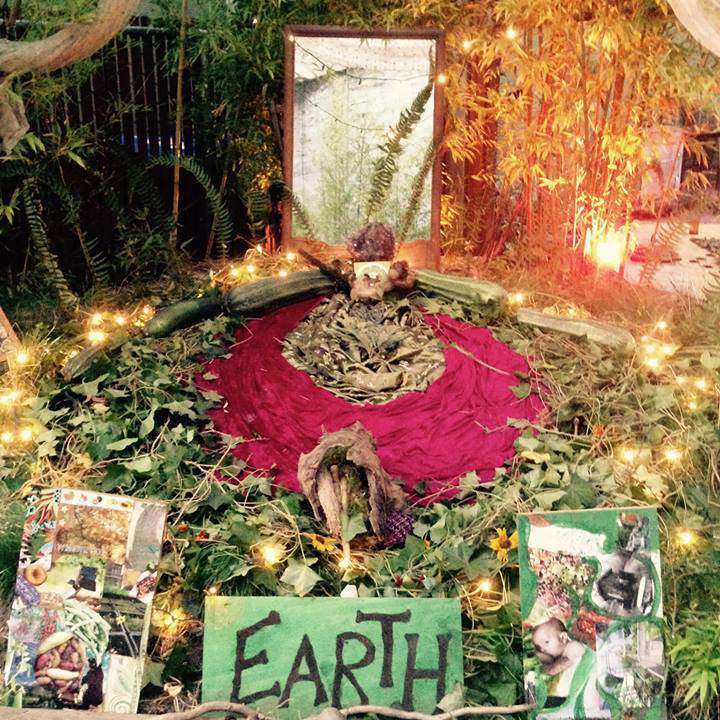 The Earth Heart tour encourages fans interested in constructing Earth Altars for the stage to join the Earth Heart Community to find more information. The upcycled altars serve as a focal point of earth-centric art, and to remind fans that each show is a party with a purpose. Several dates will also be holding Gaia Gala community gatherings before the shows that enlist speakers, reserachers, and eco-warriors to share their findings, teachings, and knowledge within the city. Click here for more information: bit.ly/EarthHeartCommunity. Next week, the tour travels to Canada for performances in Calgary, AB on November 14, Nelson, BC on November 16, and Edmonton on November 17th. Then the tour dips into the Pacific Northwest for a show in Seattle, WA on October 22, and returns to Canada for a Vancouver show on November 23rd. That weekend closees out with the only southern California date of the run--November 25 in Malibu, CA. Stay close to TheUntz.com for more information on the tour, exclusive content, reviews, and photos.